Time flies when you’re having fun. I never really believed this phrase until it hit me that today, Friday, February 8th, marks three years since Pack Up + Go got its first order. I remember that morning like it was yesterday. I was sitting at my desk in a co-working space, doing research for Pack Up + Go, when all of a sudden an email came through with the subject line, “Pack Up + Go has received a new order!” An order! Then, it happened again within minutes. Another order?! Who were these mysterious customers, and where were they coming from? I quickly realized I needed to add a question to the checkout process to track referrals. I added “How did you hear about us?” to the survey, and sure enough, another order came through minutes later. “Business Insider,” was the response to that new question. By the end of the day, this Business Insider article had over 100,000 views. The next few weeks were a blur. We had received dozens of orders, calls from press, and questions from potential customers. At this point, the business was still a one-woman operation. I had no experience in the travel industry and had never started a business before. What had I gotten myself into? I didn’t sleep for weeks and worked nonstop planning trips. I called in favors to all of my friends and family to help. I panicked. Then, the first travelers departed and it all became real. I received an email after the first travelers returned home that read, “Lillian, WELL DONE…Amazing. I've told at least a 100 people. We are hooked.” I cried tears of joy. I knew it would be an uphill battle to grow the business, but I also knew that it would pay off. Three years later, it’s incredible how far we’ve come since it was just me sitting alone in a shared office. 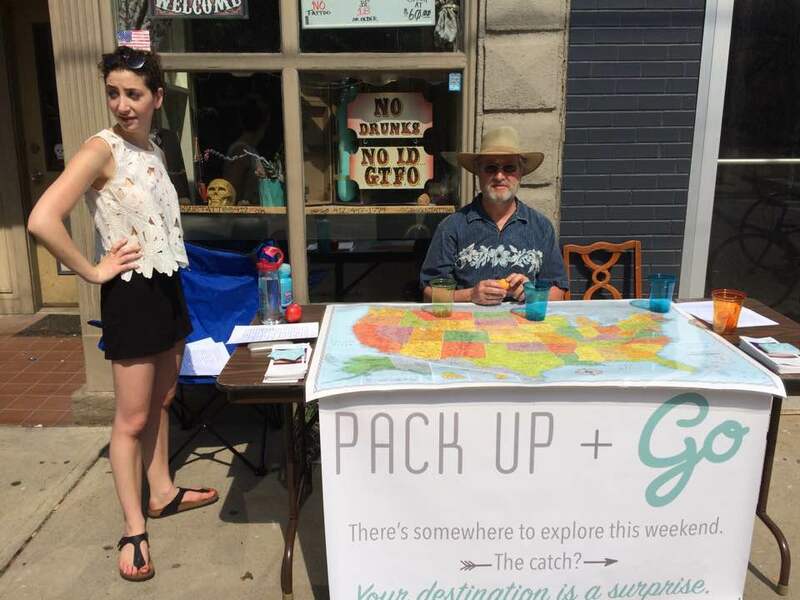 Pack Up + Go is now a team of 8 full-time employees, along with a few freelancers and interns to keep us afloat. We have our own office in Downtown Pittsburgh, and have sent over 10,000 travelers to over 85 destinations across the country. We’ve had the privilege of partnering with dozens of hotels and small businesses nationwide. We’ve been fortunate to have members of the media highlight our company + our trips. But above all, we’ve had the joy of working with you. To everyone who has followed us on social media, shared our story, gone on a trip, or told a friend about Pack Up + Go, thank you. If there’s one thing I’ve learned, it truly takes a village, and we can’t thank you enough. 1. NBC Nightly News featured Pack Up + Go on August 31, 2016. They followed the journey of one of our trips and came to our office to film. 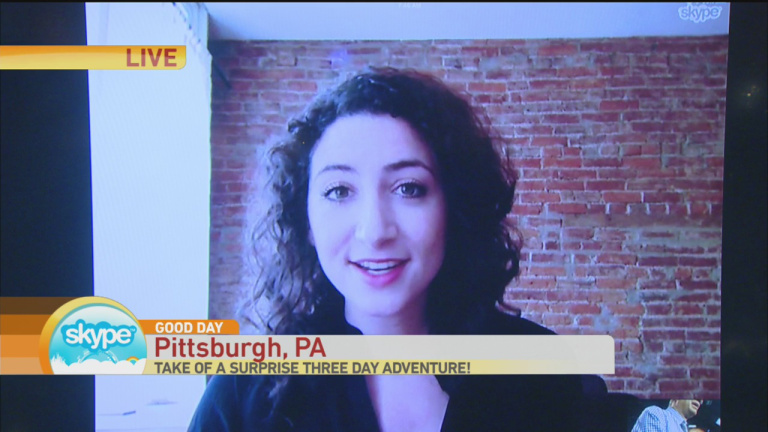 It was our first major media exposure, and it was surreal to see my company highlighted on national television! 2. Moving into our new office in September 2018 was a major moment of pride for me. Until then, we worked out of co-working spaces, and growing into a space that was entirely our own marked a major step in the business. 3. My parents opening the envelope for their Pack Up + Go trip in November 2018. I truly hope that every traveler loves their getaway, but planning a vacation for my parents added a new level of anxiety to the process. When they arrived at the airport to depart, they FaceTimed me, and I think it was the first time I’ve ever seen my mom literally jump for joy. 1. You can’t please everyone, but you can always learn from mistakes. I’ve always relied heavily on positive feedback, so receiving negative or constructive feedback from travelers has been hard. Out of our 10,000+ travelers, I’ve learned that it’s unreasonable to expect everyone to be 100% thrilled with their experience. Taking feedback constructively, making sure I’m really listening to dissatisfied customers to understand the root of their concerns, and implementing changes based on this insight has been paramount in helping improve the company. 2. There are always going to be factors out of our control. The travel industry in particular has so many moving parts – airlines, hotels, weather, government shutdowns, etc. all affect our operations and often throw wrenches in our travelers’ plans. The one thing we can control is our customer service + dedication to providing excellent communication and guidance when things get tricky. 3. Collaboration > competition. When we launched three years ago, there was only one other surprise travel industry in the United States. Now, there are many more! If there’s one thing I’ve learned, it’s that there’s enough room for all of us. We each have our own niche and can help each other learn and grow. At the end of the day, we’re all working to curate exceptional experiences for our travelers, and that simply can’t be built on a competitive foundation. The phrase, “the more the merrier,” really holds true. 1. Our amazing team. Our team continues to grow, and each new hire brings a unique skill set to the office. Everyone is passionate about taking on new projects within the company that help us streamline our processes and enhance our travelers’ experience. 2. Corporate Social Responsibility. Since launching the business, I’ve always known that I want to give back in some way. In the coming months, we’re launching an ongoing CSR initiative to contribute to communities locally and nationally, and I’m so excited to share it with all of you! Stay tuned! 3. Launching a new trip format. Since those first orders rolled in three years ago, we’ve really been focused on maintaining our 2 night/3 day trip format. However, we’ve heard from our travelers that you are interested in longer trips and multi-city trips, and that feedback has not gone unnoticed! 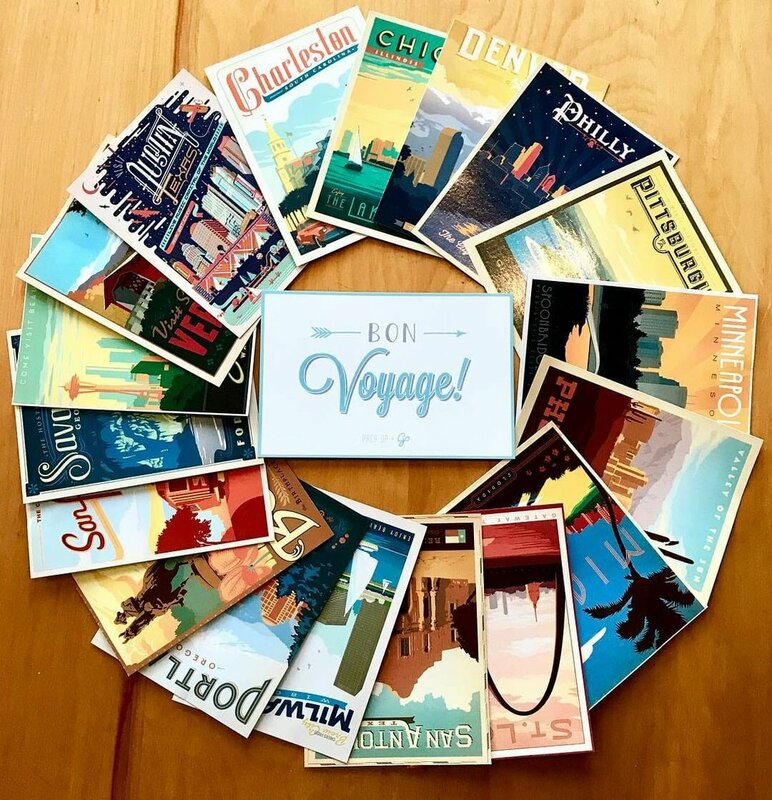 Later this year, we’re hoping to launch a second type of trip to help our travelers explore even more. This has been a thrilling three years, and I can’t wait to see what the next three have in store for us! What has been your favorite Pack Up + Go moment? Let us know below!